Iranian President says Iran will stand firm in the face of US pressure. Iranian President Hassan Rouhani said on Wednesday that Iran will stand firm in the face of the pressures from US sanctions. 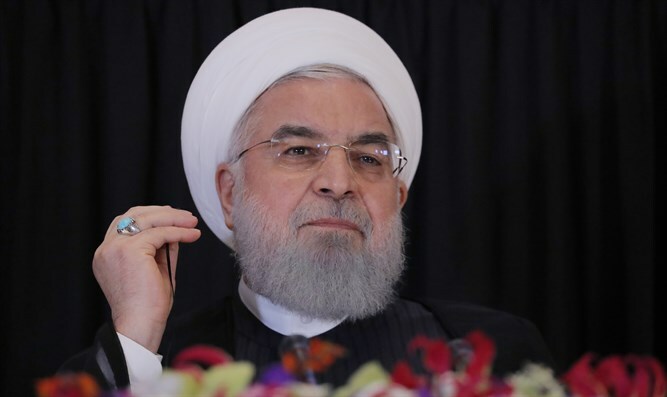 Washington is targeting the Iranian nation with an "economic, propaganda and psychological war," Rouhani said, according to the Xinhua news agency. The Iranians will defend their dignity and independence, and will not "surrender to the enemy," he stressed. "If our nation gives in to the United States, then it will have to capitulate until the end; this would mean that we should abandon our country, dignity, independence and identity," added the Iranian president. The comments come amid continued tensions between the US and Iran. US President Donald Trump withdrew from the 2015 Iran nuclear deal last May and reimposed the sanctions that were frozen as part of the deal, causing Iran to feel the pressure. Rouhani has changed his tone regarding the sanctions. He initially insisted that the new US sanctions have had no effect on Iran’s economy because Washington had already practically reimposed them earlier. In December, however, Rouhani said US sanctions against his country amounted to "economic terrorism". The Iranian president has vowed that the US will not succeed in bringing Iran to its knees with the sanctions.